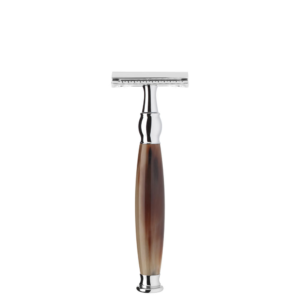 Anniversary DE shaving Safety razor by Edward. A celebration came to Muhle last year, and to celebrate they made some limited edition 1945 commemoration shaving kit. There Is some real bulk to the razor at 72 g and 110 mm. The gun metal grey acrylic really sets off a military vibe. 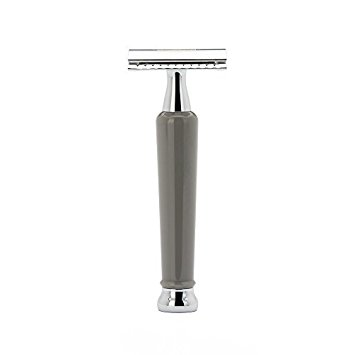 The head Is pretty much an R 89, so a safe shave that will be as close as anything. 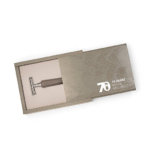 Coming with 10 free blades In It’s wooden presentation box, this safety razor Is quite the gift. This Is a razor for life, maintenance Is easy Just dismantle and rinse. The simplistic 3 piece design Is pretty much unbreakable, and the double edged blade of your choice will fit into the screw cap with such ease. At Edward’s we have 8 varieties of double edged blades, which we will more than happily send to you. failing that, you can pick them up In most high street chemists. 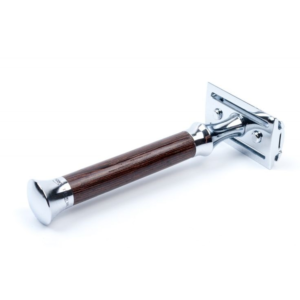 Shaving technique Is Important and that is why we have a great deal of hot tips on our blog. Traditional shaving Is a great fun pass time and with our help, you will soon be shaving like John Wayne. If you, our potential customer has any questions about the Muhle 70th Anniversary DE Safety razors, we urge you to call us as we are so very happy to help. We are official retailers of Muhle, why not check out the rest of the range on the site. See link, there are a number of razors to choose from, also shaving brushes and shaving creams. 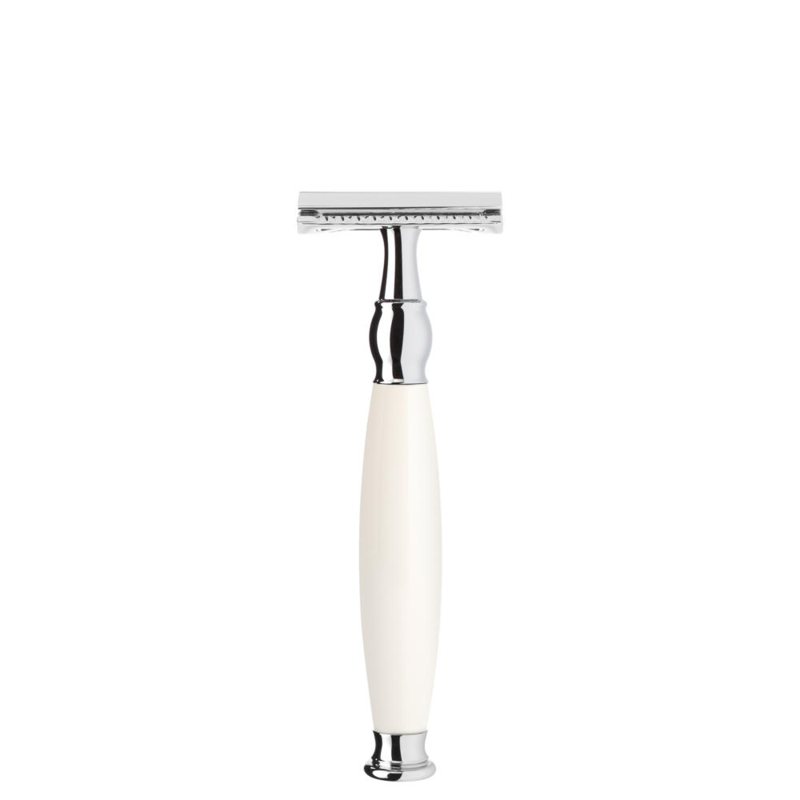 This is a enjoyable safety razor to use, it is solid and heavy. It really feels like a quality product to hold. Which it frankly is. why not treat yourself to one of these lifetime safety razors? As potentially you will always have it. It has a basically unbreakable mechanism which screws the two piece head together. 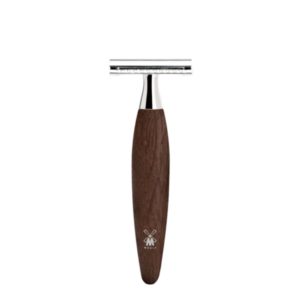 Quality stuff from Muhle available at Edward’s shaving.